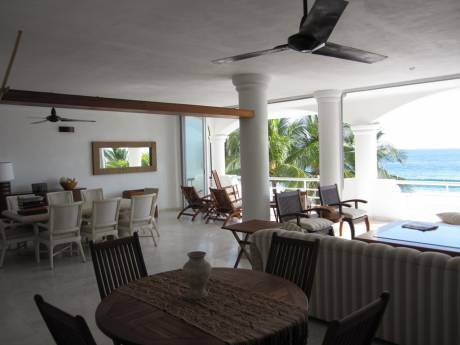 Beautiful beachfront penthouse in the small picturesque Manzanillo!!!! 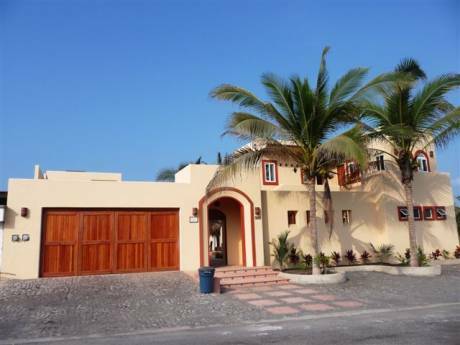 We offer a beautiful beachfront condo who has 4 bedrooms each with its own full bathroom, a very spacious living room and dining room, the kitchen is completely equiped. There is a washing and drier machines. We have a part-time maid service. The master bedroom has a king size bed, dressing area and a 32" plasma tv with sky. The other 3 bedrooms have 2 twin beds with closet. The balcony is super spacious with an amazing view of the sea. The building has 6 other apartments. The common area has a pool and a shallow area for kids, a palapa where you can get some shade, eat and drink good tequila. We are a family of four, my name is Enrique I'm in my late 40's I'm in the transportation bussiness. My girlfriend(38) who is a housewife, my oldest daughter Aide (19) who studies medicine, and my son Diego(11). We are very clean and polite family who will take great care of your property. The exchange is optional as this is our second home. 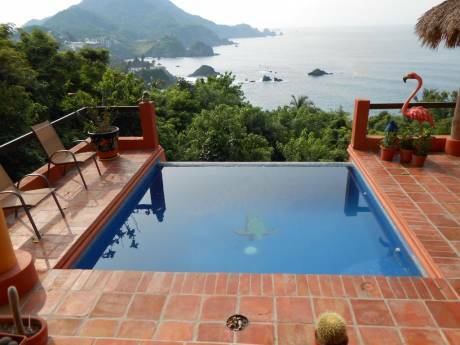 The apartment is located in club Santiago, which is one of the best communities in Manzanillo. Manzanillo is a very small town, with very kind and friendly people. There is everything you need, the airport is 20 min away, walt-mart, starbucks, popeye's chicken, casino, and juanito's restaurant where you can go for the best chilaquiles for breakfast. There is bus and taxi services very cheap for you to get around the town.